Your One Stop Card Shop For Cards, Stationery & Gift! From small displays to full shop installations, we work to create a bespoke display that works for you and your retail environment. We currently supply and manage multiple group and independent store displays across the UK, with sizes varying from 3 to 25 metres. Easily maintained with regular stock reviews and merchandising, our displays have high visual impact that will drive your sales forward. Otter House offer a dedicated planning department that work with you to create a bespoke display, right for your retail space, incorporating greetings cards, stationery and gift. 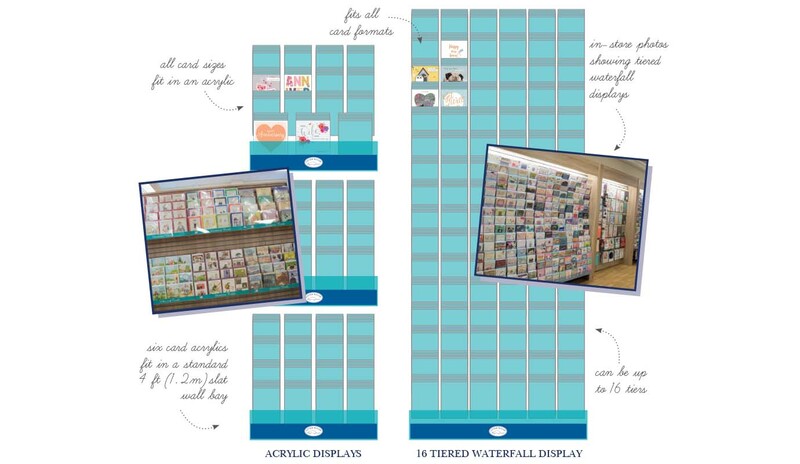 The best-selling Quayside card ranges are planned and maintained using a visual planning system integrated with our sales data, ensuring each card is positioned to maximise those sales! Stock control is managed and designs are refreshed regularly to keep the ranges looking their best. Within our gifting department, we manage range planning, stock ordering and stand installation. We ensure that our gift planning system is flexible, offering interchangeable gift stands with multiple product displays to choose from. 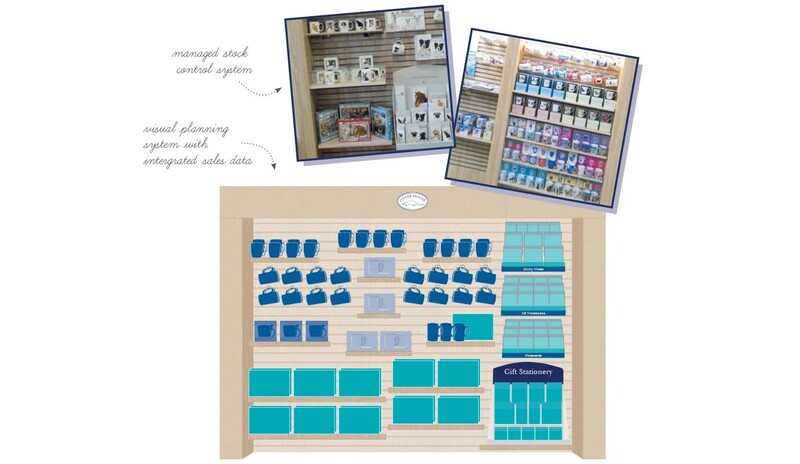 This ensures that every gift and stationery display that is created by Otter House has high visual impact whilst being bespoke to each customer.